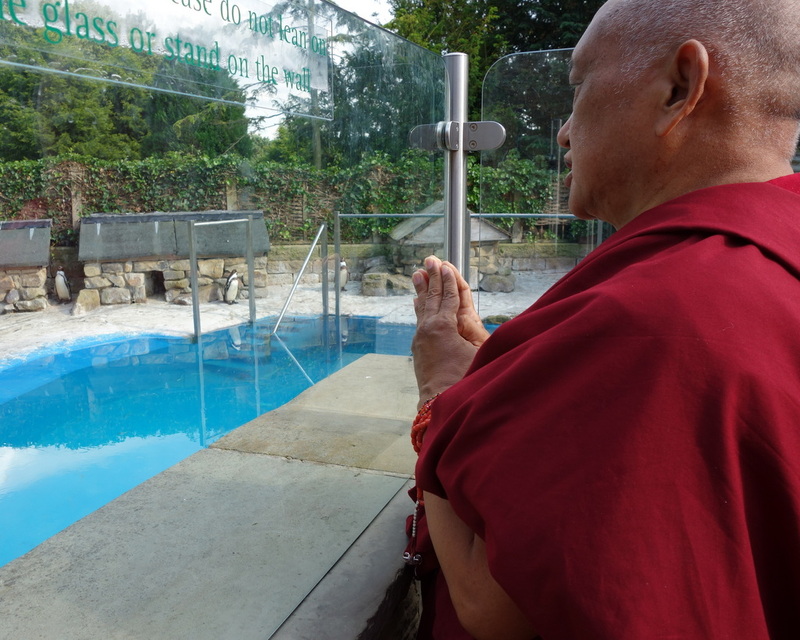 Lama Zopa Rinpoche blessing the penguins in the Bird Garden of Harewood House, Leeds, UK, July 2014. Photo by Ven. Roger Kunsang. “It is extremely important that we make an effort to lead a spiritual life while, as human beings, we have the opportunity to pursue inner methods that bring peace of mind,” Lama Zopa Rinpoche instructed in the teaching “In Search of a Meaningful Life,” given at Tushita Mahayana Meditation Centre in 1979. “It is common experience that happiness does not arise from external factors alone,” Rinpoche continued. 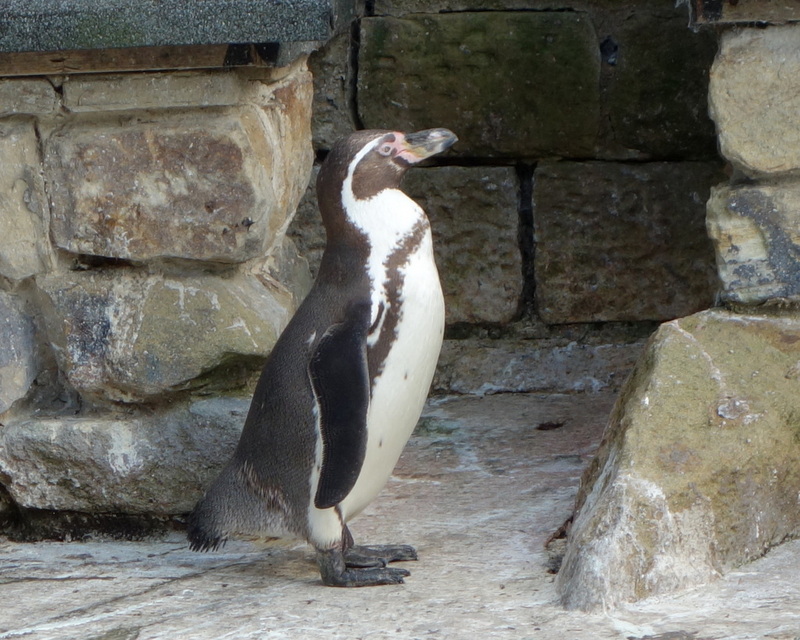 “If we check carefully into our own daily lives, we will easily see that this is true. In addition to external factors, there are also inner factors that come into play to establish happiness within us. A penguin at Harewood House’s Bird Gardens, Leeds, UK, July 2014. Photo by Ven. Roger Kunsang. “If external development were all it took to produce lasting peace within us, then those who were rich in material possessions would have more peace and happiness while those who were poor would have less. But life is not always like this. There are many happy people with few riches and many wealthy people who are very unhappy. “In India, for example, there are many pandits, highly realized yogis and even simple Dharma practitioners who live humble lives but have great peace of mind. The more they have renounced the unsubdued mind, the greater is their peace; the more they have renounced self-cherishing, anger, ignorance, attachment and so forth, the greater is their happiness. Read the entire teaching “In Search of a Meaningful Life” on the Lama Yeshe Wisdom Archive.